There was only one incident that I can remember feeling threatened, I knew I was in danger, and that was the night we left from Jeremiahs. 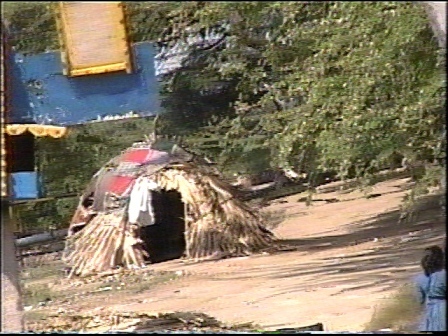 He lived in a slum area that was situated at least a couple of miles away from the nearest town. Though physically exhausted from the long busy day, we were high in spirits. We bid farewell and began to walk toward home. The street ran parallel to the canal which was dark as coal, not a light in sight. Even if one screamed at the top of his voice no one would ever hear. Soon we realized that we were being followed by a group of men. No benefit of a cell phone and a quick response to a 911 call if you found yourself in a pickle. Just me, Jaya and Jolly (since I cannot pronounce his name I gave him a name that suits him because he is at all times laughing and making others laugh.) Even the jolly good fellow Jolly found nothing to joke about as we noticed the mob of men following us by a hundred yards or so. I only glanced over my shoulder once but there were six or eight men, some carrying some objects and they were very intimidating. We were overcome with an overwhelming feeling of uneasiness and anxiety. Jaya was frightened, so was I, but only one thing occurred to me and it was not to run. Instinctively, led by the spirit I said Sing Jay he said Mum??? I said sing Jaya. I started to sing hymns, Amazing Grace, Angels Watching Over Me, Joshua Fought The Battle At Jericho, what ever came to mind, but I sang all the way home. The mob was tailing us all along at a close distance but never closed the gap. They followed us all the way back to the church and we were so relieved to reach the church and that they kept on going and we were greatly relieved. Burning down churches is nothing new in this part of the world especially. Here is what I believe. It is written He inhabits the praise of his people. I think if they could have attacked us they would have. Just nine months prior, about sixty kilometers away, a missionary who had lived in that country with his family for years, he and his son were torched alive as they sat in their car for no apparent reason.